Vivacious, young Hester Christie tries to run her home like clockwork, as would befit the wife of British Army officer, Tim Christie. 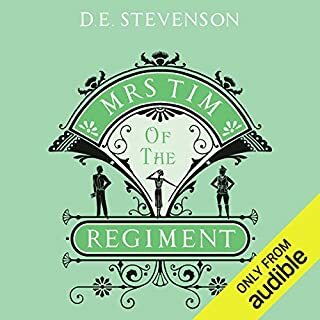 However hard Mrs Tim strives for seamless living amidst the other army wives, she is always moving flat-out to remember groceries, rule lively children, side-step village gossip and placate her husband with bacon, eggs, toast and marmalade. Left alone for months at a time whilst her husband is with his regiment, Mrs Tim resolves to keep a diary of events large and small in her family life. The pioneer of romantic suspense, Mary Stewart leads her listeners on a thrilling journey to a Mediterranean island paradise in this tale of mystery, murder and intrigue, perfect for fans of Agatha Christie and Barbara Pym. Lucy Waring, a young, out-of-work actress from London, leaps at the chance to visit her sister for a summer on the island paradise of Corfu, and what's more, a famous but reclusive actor is staying in a villa nearby. But Lucy's hopes for rest and romance are shattered when a body washes up on the beach and she finds herself swept up in a chilling chain of events. It sounds idyllic: a leisurely drive through the sun-drenched landscape of Provence. But Charity's dream holiday turns into a nightmare when she becomes embroiled in a sinister plot to kidnap a young boy. She soon finds herself in a deadly pursuit and must uncover whom to trust...and whom to fall for. Successful lady novelist Laura Morland and her boisterous young son, Tony, set off to spend Christmas at her country home in the sleepy surrounds of High Rising. 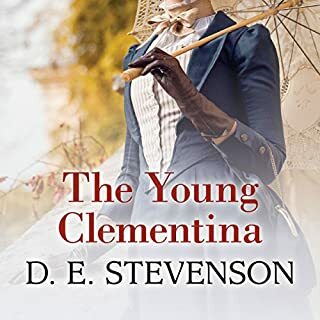 But Laura's wealthy friend and neighbor, George Knox, has taken on a scheming secretary whose designs on marriage to her employer threaten the delicate social fabric of the village. Marriage to her publisher, Arthur Abbott, has done nothing to stop Barbara Buncle from involving herself in the lives of her neighbours. After leaving Silverstream and moving to London, Barbara and Arthur are enjoying their newly wedded bliss, but not the city life. The only solution to their problem? Returning to the country. Silverstream is out of the question, but Barbara eventually finds the perfect candidate in the town of Wandlebury. After falling in love with the town, and the run-down Archway House, the Abbotts move in and make it their home. Barbara doesn’t intend to get mixed up with those around her, again, but can’t help falling into those scrapes, often with humorous consequences! This book is a very comfortable tale of Britain between WWI and WWII. The narrator does an excellent job supplying a variety of voices to add depth to the characters. I enjoyed hearing about daily life in the 1930s. 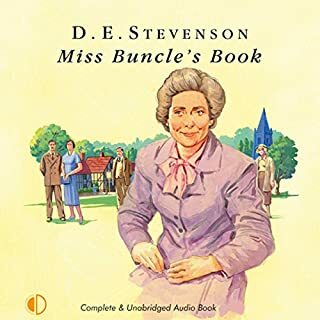 That said--this is a continuation of an earlier DE Stevenson book --Miss Buncle's Book. The reader needs to be aware that it picks up where that book ends. However, they are very different books. I found the first book to be very funny. 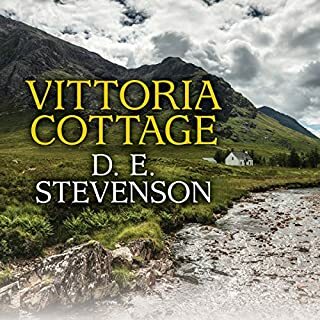 The exchanges between the characters and their reactions to life in the village of Silverstream were at times laugh out loud hysterical. In this book the character development and exploration were more superficial and spotty. For me the humor missed the mark. It was, as I have said before, a comfortable story but a bit plodding. Less quirky and in the end less entertaining. I had expected and looked forward to a continuation of the story telling style of the first book, it just never happened. Still--all in all --a pleasant listen. 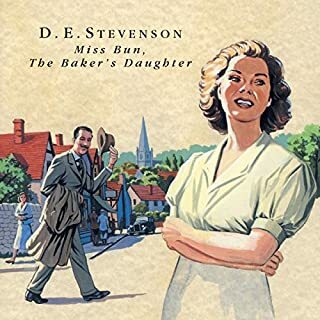 This charming English village story is only a very little less witty than the first book of the series, Miss Buncle's Book, which sets the bar almost unfairly high for this genre. Elegantly crafted, delightful and amusing story chronicles Miss Buncle's happy marriage to her publisher from the previous book, a village romance, and the interactions of various quirky folks in Miss B's circle. It is a "nice" story but NOT insipid! If you like Jane Austen and Mrs. Gaskell you will enjoy this well-narrated tale. 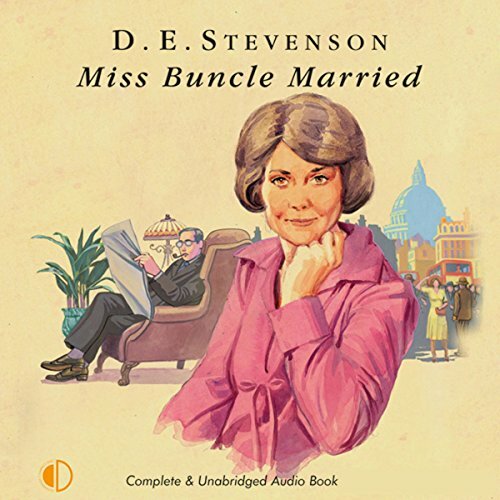 I very much enjoyed the audiobook version of Miss Buncle's Book, so was delighted to find Patricia Gallimore's reading of the sequel, Miss Buncle Married. I was delighted to discover that she did an even better job reading this book than the first in the series! The characters come to life, and take the listener to the English Village of Wandlebury, where we and Miss Buncle, now Mrs Abbott, get to meet her new neighbors and experience village life to the full. This is just a great fun story! THere is a little romance and just good clean english fun. Life in a small village. Ms. Stevenson really does a great job with character development. I found that once I start listening I don't want the story to end. I think Miss Buncle is someone that most of us can sort of identify with. This is a book that the children and I can comfortably listen to while working together on some kitchen project or riding along in the car. I did have to buy the next book in the series almost immediately to find out what happened next. This delightful narration of a book that actually makes me laugh out loud comes warmly recommended. The narrator does a superb job at capturing male and female characters in a convincing manner. The plot is fun and the setting is quintessentially English. I wish I could spend my summer vacation in Wandlebury with the Abbotts coming to tea. I found this book to be much the same as the first in the series ... Engaging at times, but, for the most part, nether here nor there. Some interesting character ideas, but never really gets off the ground. I would not recommend this series, even though I do read books of this time period. I was looking forward to the second book in the series as I enjoyed "Miss Buncle's Book" very much. This book lacks the plot movement which kept the first book interesting. I bored of it by half-way, and barely finish the book. I recently discovered D.E Stevenson and I'm so happy I did! Wholesome, fun stories about every day people and their foibles that hold your attention. The narrator is excellent too, and that adds even more to an already fun story. Not as good as the first one. It started out so promising. I loved it right up until the weird artist couple came into the story. It seemed a really forced, unnatural attempt to appear modern and sophisticated, since all their unchastity was dismissed by the author. But the reader is absolutely marvelous! Miss Buncle is a wonderful character and I loved the first book. Now she is married to Arthur, her publisher, and lives in the city. They would prefer to live in a smaller quieter place so they begin to look for the perfect house and location. Miss Buncle finds it and settles in with the people in the village. She makes friends easily and continues to be a wonderful loving person. This is a soothing character and book. There are no major or dramatic events but the story is so interesting and drew me in completely. It is a great sequel to a great book. Arthur is a good addition. He is as kind as Miss Buncle and they deserve each other. It was at this point that I felt that wherever the plot was going to go it was going to be a great waste of time and I gave up. 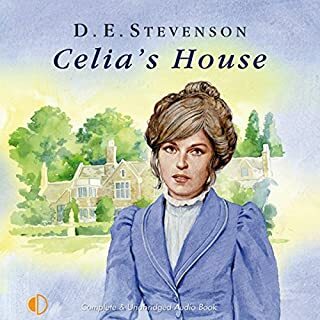 What was most disappointing about D. E. Stevenson’s story? after enjoying miss buncle's book, the first in a trilogy. where she wrote a story about the people where she lived, changing their names, which became a best seller this was a run of the mill story of married life in the 1930's. it was very predictable, didn't have the humour of the first book and some plot lines were just silly. the ending was alright.needless to say I won't be buying the last book in the trilogy. Have you listened to any of Patricia Gallimore’s other performances? How does this one compare? as far as I remember only the miss buncle's book. she performed both books well bringing the characters to life. the first book yes, but not this one. read Miss buncle's book as a stand alone book don't bother with this one.